By God’s grace we went through another month of activities successfully. Classes went on successfully, even though preparation towards the pending graduation was also going on. There was also a two-week period for short-courses which went on as planned. The term’s examinations were also held as planned. Paintings of the school blocks were also done. The school’s scheduled graduation went on as planned. All graduates were present to receive their awards. 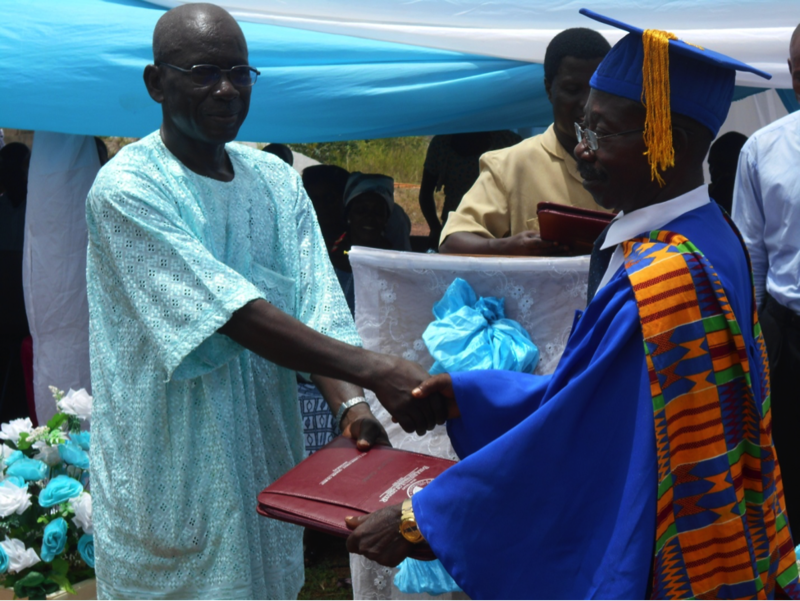 Howe had given us $500.00 for the graduation which when converted gave us GHC 1,800.00. Our expenditures, however, exceeded what was received. Below, please, find expenditure made on the graduation. Brother Todd also provided funds to purchase some goats. These funds gave us four goats. Both poultry and garden are growing well. As reported to you earlier, the birds have started laying eggs. We continue to have breakages on some of our doors and other equipment. Our photocopier also had a breakdown and was repaired. Funds used for these repairs are quoted in the financial report. In the financial report, we quoted four weeks of funds to the cook, even though the school went on break on graduation day, April 18, 2015. The explanation is that we pleaded with four of the students who stayed to see for the upkeep of the poultry and garden. Posted on June 7, 2015 by Robert Turner and tagged Extensions Takoradi.